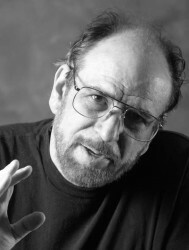 The Mike Caro Brain Trust, also known as the Mad Genius Brain Trust was born in the late 1990s. Once quoted by media sources and promoted on a Las Vegas radio segment, it languished for almost a decade, while Caro pursued other projects. Its revival coincides with the official opening of Poker1.com on January 1, 2014. Brain Trust members were chosen by Mike Caro for their analytic talents and expertise in specialized areas. However, Caro announced that in the early stages of the new era, he would relegate the Brain Trust to informal status, while he ramps it up once again. That means, he initially will be doing most of the analysis himself, with outreach to others whenever help is needed or to gain further insight. Actually, you won’t see predictions about what will happen. Instead, what’s predicted is the likelihood that something will happen. Therefore, outcomes never prove the Brain Trust to be right or wrong — unless the probabilities stated are themselves in error (which is unlikely to happen).